Located at the busy Calgary Trail/Gateway Boulevard district of south Edmonton, South Trail Dental Clinic opened its doors in January of 1997. Along with the tremendous growth and development in the district, the clinic too has shown amazing growth. We have over fifteen years of providing quality dental services to our patients in a caring and relaxed environment. It is an exciting time for dentistry – a time of new technology and innovation. Dentistry doesn’t have to be stressful, anxiety provoking or fearful. With ongoing continuing education, Dr. Lim and his team are ever vigilant to keep up with the latest techniques in dentistry because we strive to make all of our patients’ dental experiences positive ones. Dr. Kenny Lim B.Sc., D.D.S. Dr. Lim has practiced dentistry in the Edmonton area prior to opening his own operations in January 1997 as South Trail Dental Clinic, and is most proud to celebrate over 15 years of operations at his present location. In addition to his primary responsibilities at South Trail Dental Clinic, Dr. Lim is also currently an assistant clinical professor in the University of Alberta Faculty of Medicine and Dentistry in dental radiology. 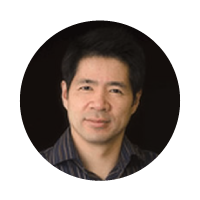 Previously, Dr. Lim has also been a clinical instructor with the U of A dental school in the disciplines of dental diagnosis and treatment planning, fixed and removable prosthodontics, the CCC (comprehensive care clinic), and as a supervising instructor with the U of A Satellite Dental Program in High Level and La Crete, Alberta. A native Edmontonian, Dr. Lim continually strives to provide personable care to his new and existing patient base. He is experienced in all aspects of general dentistry and is committed to continuing education in order to better serve his patients. Dr. Lim has taken the Las Vegas Institute curriculum Core I and III programs in the fall of 2008, and is excited to be able to offer the latest in cosmetic treatment for his patients. Dr. Lim has completed his Lumineers Training in the summer of 2005, and most recently has become a certified Invisalign provider in March 2012. Winnie has been a fixture at South Trail Dental Clinic since its inception in 1997. It may surprise you that dentistry was not Winnie's first profession. She spent many years in the education profession having been an elementary, junior high, and high school teacher for over two decades. Her many years of experience working with young and old alike make Winnie an indispensable asset to our team. 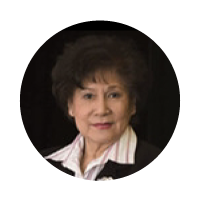 Experienced in all aspects of the scheduling, financial, and insurance aspects of your dental experience, Winnie's warm and gracious demeanor will ensure a positive experience for you at the front-end of our practice. Trish has been a fixture at South Trail Dental Clinic since 2008, and those of our patients that have been fortunate to have worked with Trish in the past know that they are in the hands of a conscientious and quality-oriented hygienist. A U of A graduate and a true veteran of the dental hygiene profession, Trish will help to ensure that your periodontal (gum) needs are well taken care of.